It was reported by AFP that police in a northern Indian city said they have a new weapon for controlling violent protester. The world’s largest democracy is going to use pepper-spraying drones for stopping unruly protestors. Sounds bit offensive that after tear gas and water hoses, these drones would be more effective to disperse the crowd. 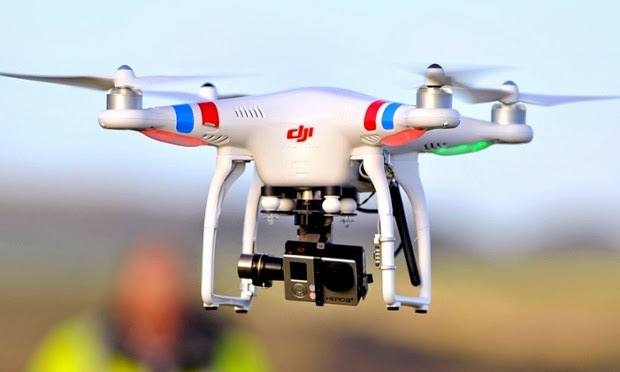 Yashasvi Yadav, police chief of Lucknow, said his officers have successfully test-flown the newly purchased drones with a view to better crowd control. “The results were brilliant. We have managed to work out how to use it to precisely target the mob in winds and congested areas,” Yadav told AFP. The city’s police force has bought five drones, costing about 600,000 rupees ($9,600) each, with their introduction planned for later this month, he said. The drones look similar to ones who have camera attached to them. The unmanned drones are equipped with high-resolution cameras. They can carry two kilograms (4.4 pounds) of pepper and fly within a one-kilometer radius of their operator. Lucknow police have previously used drones for aerial surveillance including during religious festivals in the city. Protesting for rights is becoming a trend nowadays but most of the time times, those protests tend to violent ones. We hope that Pakistan does not get inspiration from India, because they summer season is here and outages will bring people on streets against load shedding. These drones are not lethal but are harmful for sure.